Who says you have to have a traditional cake? We are huge advocates for deliciously simple and alternative ideas, when catering for events. Whether you’re looking for an unusual cake or bucking the trend entirely, in pursuit of a more savoury variety, we will create your ideal alternative. From over 1,000 cheeses, be it a local treasure or a specialty cheese from a certain region we can source it. 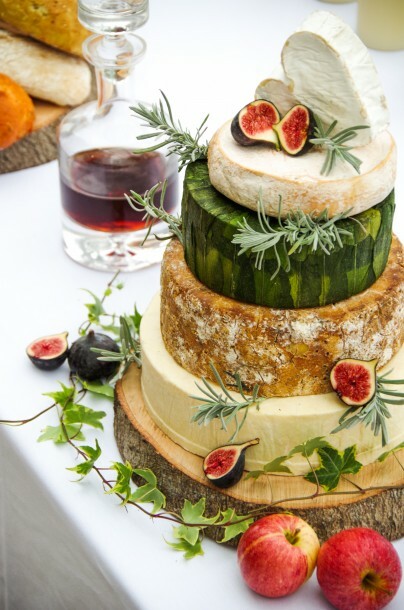 How about Shipcord Cheddar, Stilton, Garlic Yarg and a Brie Heart, decorated with Rosemary, Figs and Blackberries for £220. More information on our cheese cakes can be found by clicking here and details for our pie cakes will soon be announced. In love with the Great British Pork Pie it’s grand enough for any occasion. How about a multi-tiered tower of pork and hand finished pastry pie. Our choice of fillings layered with pork, chicken, venison, game (when in season) and adornments. An original way to say we do or happy birthday. Made in a number of different sizes to create a multi tiered feast. 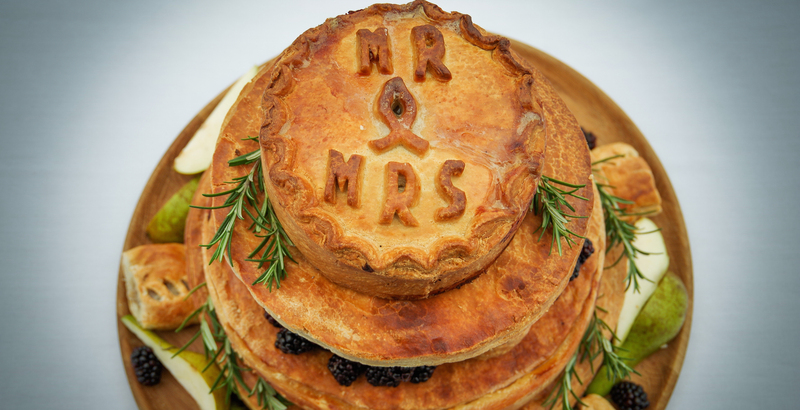 We recommend a different flavour for each tier and can decorate the top with hot water pastry lettering, leaves and flowers.